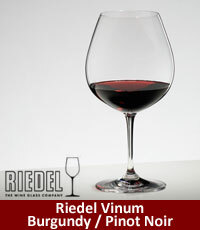 This is the second of our 2 part series looking at the best Riedel glasses from the popular Vinum range. Riedel are by far one of the most recognised glass producers in the World. Their rich history is built around high quality lead crystal glasses which enhances the enjoyment, aromas and flavour of the wine, spirit and sparkling wine that you’re drinking. Riedel include over 15 different ranges, each with their own style and design that meets the needs of today’s hugely popular, worldwide wine drinking market. What’s the best Riedel glasses? Riedel’s Vinum range is the companies benchmark glass, it features 26 + different glass types, each designed specifically for different wines, spirits, sparkling wines & much more. Each wine glass is ‘grape specific’, covering the most popular and commonly found wines around the World, each glass is machine made from lead crystal in Bavaria, Germany. 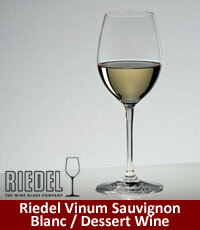 Wineware are pleased to offer the most popular Riedel glasses from the Vinum range, all of which are currently on SALE. 25% OFF when you purchase two sets of two (4 glasses). This wide bowled Riedel glass is perfect for Burgundy and Pinot Noir. The wide bowl allows you to swirl your wine effortlessly, releases the aromas and ‘break the wine up’. You’ll certainly notice the difference when drinking from this glass! Suitable for: Barbaresco, Barolo, Beaujolais, Dornfelder, Gamay, Nebbiolo, Pommard, Romanee and Volnay. This popular red wine glass is ideal for Syrah and the Australian equivalent, Shiraz! It works well for a whole host of other tasty red wines too, this glass has been part of Riedel’s Vinum collection since 1995! Suitable for: Amarone, Barbera, Carmenere, Grenache, Malbec, Mourvedre, Pinotage, Tannat and Touriga Nacional. 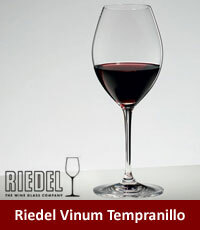 This is Riedel’s narrow lipped Tempranillo glass, the native Spanish grape. It can used for a majority of red wines and is highly popular with drinkers of other Spanish wines, Rioja, Gran Reserve and Tinto Reserva. Suitable for: Gran Reserva, Ribera del Duero, Rioja, Tannat, and Tinto Reserva. This multi use glass is good for both white wine and dessert / sweet wines. For white wine, it’s perfect for Sauvignon Blanc whilst for dessert wine, Ice Wine and Sauternes are fantastic. This elegant glass would make a welcome addition to any glass collection. Suitable for: White Wines: Graves, Pouilly-Fume, Sancerre. Suitable for: Dessert Wines: Beerenau-Slese, Ice Wine, Sauternes, Tokaji, Trockenbeerenauslase. This wide bowled white wine glass is great for Montrachet and Chardonnay. Any white wine works well in this vinum glass, it stills looks and feels as great as it did when it was first released, back in the year 2000! 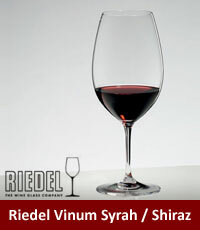 If you would like to know more about Riedel Vinum range, click here to view our entire collection. 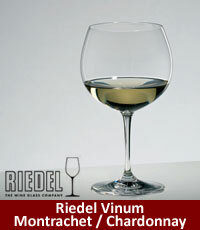 Alternatively, view ‘Part 1’ of the ‘Most Popular Riedel Vinum Glasses’. We’d love to see some photos of you using your Riedel glasses. So why not send us a tweet with your glasses and your favourite bottle of wine!